Children's health is one of the most concerns of parents. Will your child grow healthily from birth till the age of maturity? What are the essential vitamins they need? Let’s look at what are the causes that may jeopardize children health during their growing years. If you are breast-feeding your new-born, you need to take care of your own well being, including a balance and nutritious diet. Remember, whatever you eat, it passes on to you breast-fed child. You need to maintain an optimum health condition in order to produce quality breast-milk for your infant. Keep a balance between exercise and rest. Avoid unnecessary fatigue. Eat healthy, nutritious balanced meals of 55% carbohydrates, 15% proteins and 30% fat. Avoid highly processed food, drugs, alcohol and cigarettes. Drinks adequately amount of fresh water and other nourishing fluids for increased milk volume. Take necessary food supplements especially if you do not consume enormous of nutrients dense confinement food. Age one to four children are physically active and energetic. They constantly explore and seeking for autonomy and independence. These are the crucial years for parents to cultivate healthy eating habits at home in order to reap the benefits of growing a healthy body to adulthood. When left alone, children tend to choose and pick what appeals to their taste buds. It seems to be a constant battle between children and well-meaning parents who want their children to eat certain nutritious food. As parents, we play an important role to gently lead them to understand the benefits of eating a variety of food. However, do not over do it like using bribe to get them to eat certain types of food. Since children of this age have erratic appetites on day to day basis, supplementation becomes essential to bridge the nutrient gaps. A balanced and biological complete protein supplement and comprehensive children’s multi-vitamin and multi-minerals that contains all of Daily Value’s twelve vitamins, adequate minerals and trace elements for good health. Parents also face more challenges from commercials and peers influence in inculcate healthy eating habits. Some children will remain finicky eaters despite their parents’ effort in educating them to eat balance meals. They often fall into the junk food traps while with the friends. Parents are encouraged to continue to build a good foundation of their children health. Again, protein supplement and a multi-vitamin and multi-mineral supplement are basic supplementation in insuring a broad spectrum of nutrients. Parents may want to introduce antioxidants like vitamin A, C and E. These antioxidants have been reported to have positive effects in lowering the risk of heart disease and cancers. If you have pre-school children whom you put in childcare, you need to take note that they are especially susceptible to cold and flu, which they can easily catch from their friends. A wise regime to consider for this group of pre-school children is to add vitamin C supplement in their diet. Besides basic nutrients intake, many today’s parents also include functional food like fish into their children’s diet. Fish oil that is rich in omega-3 fatty acids, which include EPA and EFA, in particular are found in brain and eyes tissues. 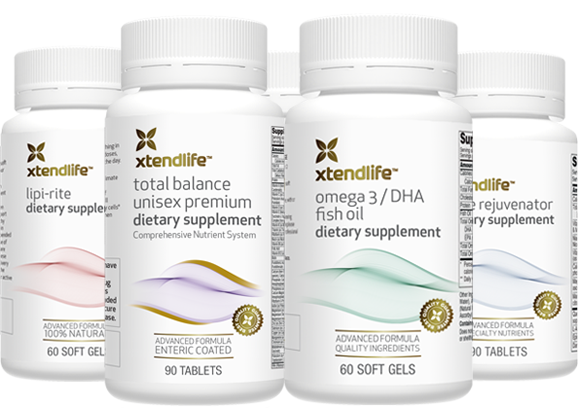 Due to lack of these fatty acids in our diets, supplementation may be a wise move. Children of different age and gender require different amount of daily nutrients to support their growth and needs. The chart below shows an overview of Recommended Dietary Allowance (RDAs) for certain nutrients from age 1 to 13. Note: Asterisks (*) represent daily Adequate Intake (AI). The term Adequate Intake is used rather than RDA when scientific evidence is insufficient to estimate an average requirement. Where to Get Your Best Children Vitamin? We recommend that you do your further research to find out what suit your child and your budget. If you are in a hurry, follow our recommendation to get Children Multivitamin Total Balance for Children. Go to our nutrition guide page to learn more about nutrition and vitamin needs. children vitamin - find out the specific vitamin function and how it affect your children health. More reading cholesterol imbalance and how to lower cholesterol level. Return to top of children health page.